ANCASVI considers attractions safety as a priority of the Association. The Technical Committee was established within the Association to review and discuss technical issues related to the production, use and maintenance of the attractions. In carrying out its activities, the Technical Committee will develop contacts with technical and industry experts to develop recommendations and / or opinions. 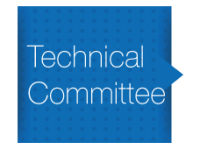 Each recommendation and / or opinion of the Technical Committee will not be mandatory, everyone will be free to assess the content and decide whether to use all or part under their responsibility. Any individual or company can make donations to the Technical Committee to carry out its activities. The members of the Technical Committee carry out their activities free of charge.